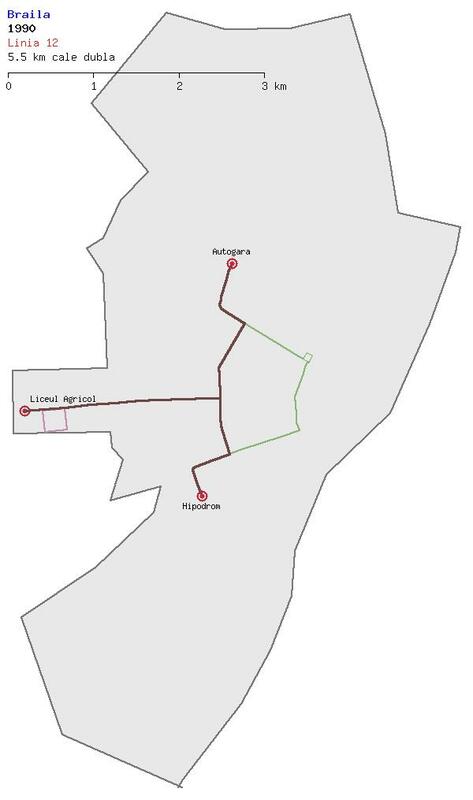 Here you can find a collection of drawings of trolleybus networks from Braila. They're drawn based on the aerial and satellite imagery present in the Wikimapia site. Trolleybuses are no longer running in Braila. The final years of Braila trolleybuses, 1995 - 1999. Active network: 3.3 km double track. Inactive network: 4.9 km equivalent (4.8 km double track, 0.3 km single track). 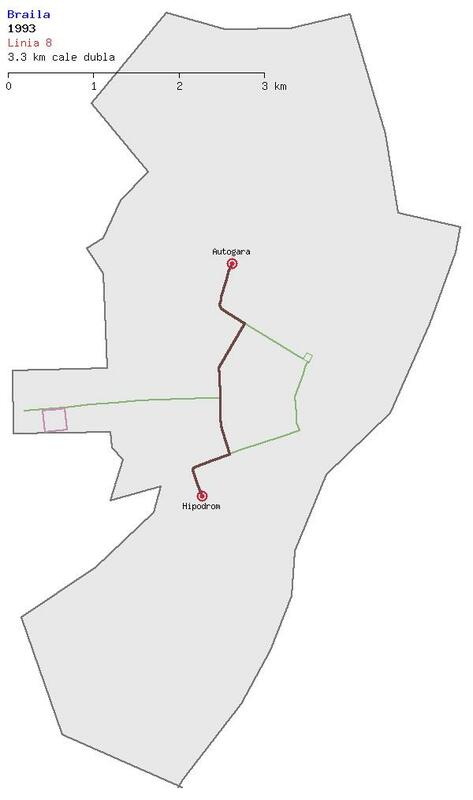 Total network: 8.2 km equivalent (8.0 km double track, 0.3 km single track). Situation between 1992 - 1995. Active network: 5.5 km double track. Inactive network: 2.6 km equivalent (2.5 km double track, 0.3 km single track). Routes: 8(3.3 km), 12(5.5 km). At the beginning of the 90's when all the three trolleybus lines were operational. Active network: 8.2 km equivalent (8.0 km double track, 0.3 km single track). Routes: 1(4.3 km), 8(3.3 km), 12(5.5 km).